The class was very good and fun, I learnt a lot during the class; however, unfortunately as I haven't practiced what I learnt afterwards I've forgotten most of it. 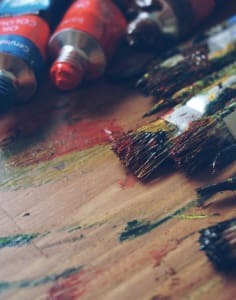 I have been looking for similar classes but to use oil and acrylic paints, however there doesn't seem to be any at a convenient time during the week days. I hope you add more classes soon. A great class. I learned lots & it was very hands on. Space was lovely as was the teacher and staff. Definitely recommend & i look forward to attending another.